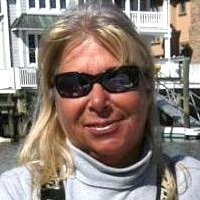 Over the past two decades Maureen Klause has set more than 20 light tackle world records on some of sport fishing’s most prized saltwater game fish, mostly in her home waters of Ocean City, New Jersey. Some of Klause’s most impressive catches include an 80-pound bluefin tuna on 16-pound line, a 44-pound red drum on six-pound line, and a 112-pound, three-ounce mako shark on four-pound line. Klause’s first record didn’t come until 2001, and she shows no sign of slowing her light-tackle world record pursuits.